At Chicago Catering Company, we pride ourselves on our professional approach and true attention to detail. Every catering event starts with you. We will guide you through your menu design and selection for your special event. We have the capacity to handle anything from an all-day meeting with three meals, snacks and a beverage refresher to an elaborate wedding involving passed hors d’oeuvres, cocktail reception and a four-course meal. Popular menu items include grilled beef tenderloin and shrimp scampi dual entrée, the horseradish ginger crusted salmon filet or the sage and pecan crusted breast of chicken. The possibilities are endless. We understand how important meals and refreshment breaks are to your programs. Our friendly, professional staff is always ready to assist you in choosing from a wide array of menu selections or to create a custom menu to make your event unique. We will work closely with you to guide you through a simple and seamless process that ensures your particular event is managed and catered flawlessly. Chicago Catering Company has several levels of catering service to suit your needs. Please feel free to blend elements from one or more guides. As always, our professional staff are available to assist to ensure yours is a truly unique and custom-designed event. 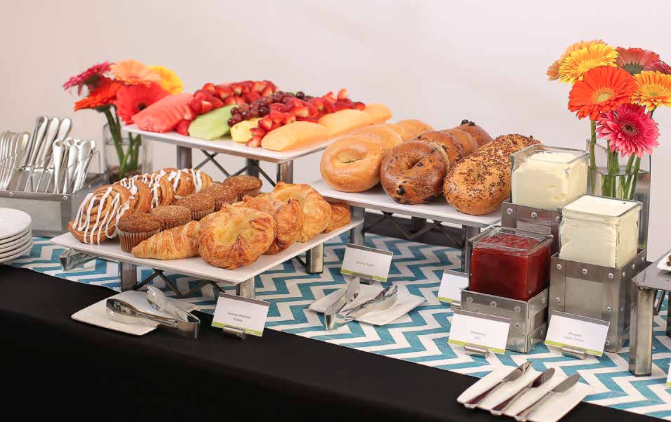 “In Any Event” Catering: Our most comprehensive catering program, featuring a variety of catered solutions from breakfast to breaks and boxed lunches to themed buffets. “In Style” Catering: Our premium level catering service, our signature guide features unique menu options designed by our Regional Executive Chef plus innovative set-ups to wow your guests. We would be proud to have you as our honored guest and we look forward to extending to you the tranquility, superior service and excellent cuisine we can provide. 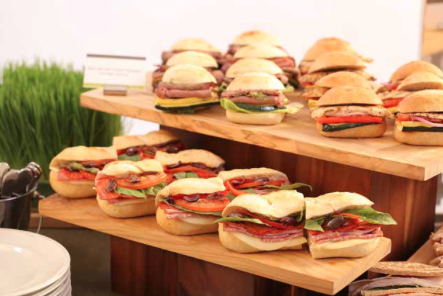 Our catering team recognizes your event is unique. We look forward to assisting you with the details and planning of your event. Please contact us at: (312) 413-5626. Chicago Catering Company supports UIC by giving a portion of all proceeds back to the university!